Blog Spot Coexistence is a Big Lie! When one side dreams of peace and coexistence and the other side doesn’t, that’s a prescription for asymmetrical warfare and disaster. The Barkan Industrial Zone massacre is just days old and already the moral watchdogs of the Peace Process are wringing their hands, mourning its possible demise. “We shall not allow abominable terrorists to harm coexistence,” is the rallying cry. According to Yedioth Ahronoth, one of Israel’s leading papers, “Over 30,000 Palestinians from the West Bank have work permits for the different industrial zones in the territories or for the Israeli communities. 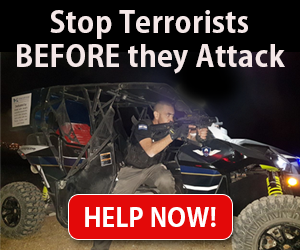 To this day, only a few—less than 10—took advantage of the situation to carry out terror attacks, so Israel’s policy of differentiating between terrorists and the uninvolved population has proven itself, and that is also why the IDF did not impose a closure on the terrorist’s village. Describing the IDF search for the murderer, IDF spokesperson Brigadier General Ronen Manelis said that the terrorist had a work permit, yet he managed to enter the factory with a rifle, which needs to be investigated. “The industrial area is a zone of coexistence where Palestinians with work permits are employed alongside Israelis. We’ll review this incident and decide how to proceed from here. 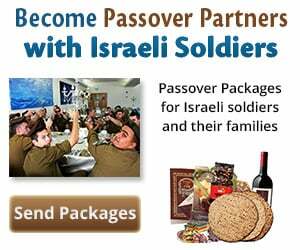 Nevertheless, preserving the coexistence is one of the army’s missions,” Manelis said. Yet a poll conducted by the Palestinian Center for Policy and Survey Research (PSR), in September 2018, asked Palestinians to choose between the two-state solution, the one-state solution, or any other third solution. Fifty-three percent preferred the two-state solution, 24% preferred the one-state solution, and 14% preferred some other solution. A Jerusalem Media and Communication Center survey, at the end of June 2018, found that more than 61% of Palestinians said they opposed the Oslo Accords (up from 48.3% in March, 2013). The PSR study also found a large majority, 54% support “resistance” (33% armed attacks and 21% non-violent resistance), compared to only 39% who think that negotiating is the most effective means of establishing a Palestinian state next to the state of Israel. Important to note that according a Pew poll (Sept. 2013) of global attitudes, surveying the Muslim populations in 11 countries/territories, the only majority to support suicide bombings was found in the West Bank and Gaza; 62% of Palestinian Muslims believe that suicide bombings were often or sometimes justified (37% often, 25% sometimes). Nothing has changed since then. We’re all familiar with Palestinian Authority incitement and its payments to terrorists and their families. So, where exactly is the “coexistence”? Sara Vaturi, an employee of the Alon factory who was moderately wounded in Sunday’s shooting attack, told reporters that after being shot, an Arab worker helped her stop the bleeding and kept her conscious until emergency medical teams evacuated her to the hospital. “I’ve worked with Arabs for many years, and I’m not afraid. Unfortunately, this is not the first and not the last time something like this happens… Obviously, I’ll go back to work as usual, I do not think everyone is bad… it’s just the nature of the situation we have in our country. I don’t think it will shake the coexistence we have there… We will all work together and everything will be fine… This is what I am hoping for,” she concluded. When one side dreams of peace and coexistence and the other side doesn’t, that’s a prescription for Asymmetrical Warfare. That’s a prescription for disaster. It lulls the Israeli public into a state of defenselessness. 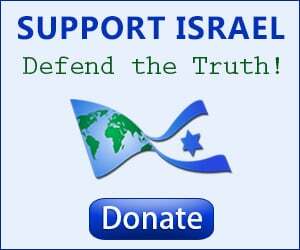 Israel needs a reality check. Palestinian-Israeli coexistence is a Big Lie!